Majestic Mauve posy is full of soft pretty roses, fluffy mauve carnations and lasting chrysanthemums. 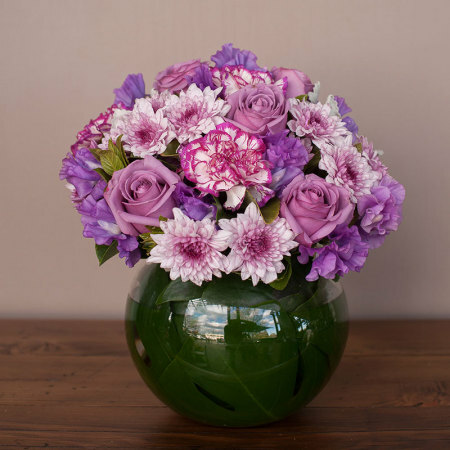 This gorgeous mauve posy will be delivered by your choice of either our signature gift wrap or displayed in an stylish glass vase to make a lasting impression. A beautiful gift for any occasion.